"Experienced journalist and debut novelist Martini spent a decade researching the real men whose stories form the basis of this work of fiction, and it shows in the both epic and intimate details that make this story spring to life. In Martini's prose, one can almost hear the tires screeching around the track, from the dry deserts of Libya to the damp mountains of Italy, from the sparkling streets of Monaco all the way to the shores of the United States. Amid the pungent fumes of gasoline, readers will also feel the sense of dread as the world inched closer to war. A sprawling, adrenaline-drenched story that will appeal even to readers who know next to nothing about auto racing." 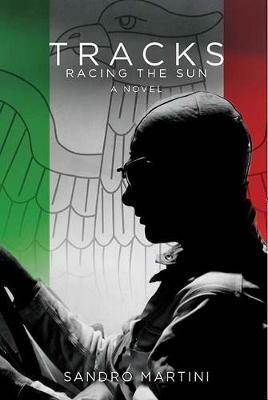 - Kirkus Reviews; In this epic novel about the motor-racing heroes of Fascist Italy and Nazi Germany, legendary characters battle to win incredible races on switchback roads along the edges of ravines. Exploring the relationships between the champions as much as the sporting events themselves, this is a thrilling tale based on the true rivalries, triumphs and disasters during a fascinating period in European sporting history.